ISLAMABAD: President Mamnoon Hussain on Wednesday called upon international community to join hands in striving to end poverty, provision of quality healthcare and sustainable development across the globe. He was addressing the inaugural session of high level international conference on the International Decade for Action “Water for Sustainable Development” 2018-2028 being held in Tajikistan capital from June 20 to 21. Besides President Emomali Rahmon of Tajikistan, who delivered the inaugural speech in the opening session of conference, it was also addressed by the President of Turkmenistan, Chief Executive of Afghanistan and other heads of the delegations. The President said in order to tackle the challenges there was a need to promote international cooperation and partnership at higher level in the field of science and modern technology. Mamnoon said his country was ready to extend all out cooperation to the world in efforts for addressing the challenges of water scarcity. 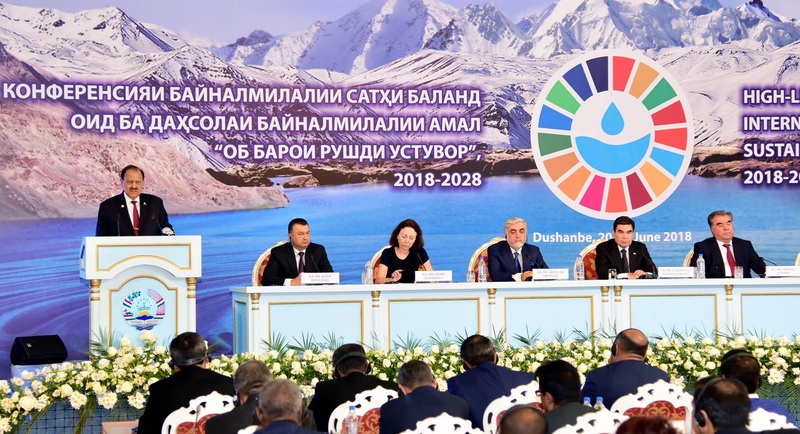 The President hoped that the deliberations as well as recommendations of Dushanbe conference on water will go a long way in addressing the challenges of water in the region.